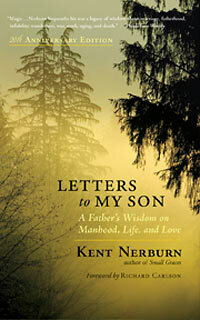 At once spiritual, practical, and streetwise, Kent Nerburn’s Letters to My Son: A Father’s Wisdom on Manhood, Life, and Love has been beloved by readers from all walks of life, including single mothers seeking guidance in raising a son, fathers looking to share a voice of clarity about life’s most important issues, and young men wanting an intelligent, thoughtful, and sensitive companion on the journey toward a worthy manhood. We hope you’ll enjoy this excerpt from the new twentieth anniversary edition, in which Kent Nerburn shares his reflections on education and learning. We hope you'll enjoy this short interview with New World Library cofounder Marc Allen that offers extremely practical advice for how you can use affirmations to create the life of your dreams. We also invite you to subscribe to New World Library's YouTube Channel for immediate access to the latest author interviews, book trailers, and more. As the world continues to move forward after learning that one of its most beloved performers died by his own hand, the collective ripple effect begins to spread and the energetic ramifications begin to take shape. In the days following the announcement of Robin Williams’s passing, along with many others around the globe I found myself feeling washed over with a sense of shock, bewilderment, deep sadness, and grief, as though I had lost a dear and intimate friend. 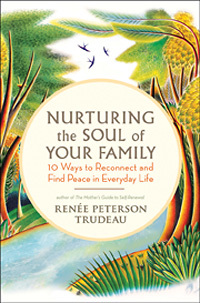 I was stopped at random moments throughout the day by spontaneous tears, weeping for a person I had not known personally. I know that I am not alone in this sentiment — that people from all walks of life have also been dealing with the emotions brought up by this powerful heart squeeze. Fifteen years after the publication of the bestselling The Power of Now, Eckhart Tolle, one of the world’s leading and most beloved spiritual teachers, will join with New World Library to launch a new imprint — Eckhart Tolle Editions. We hope you'll enjoy this short video where Eric Maisel, PhD, author of The Van Gogh Blues and Rethinking Depression talks about artists and existential depression. We also invite you to subscribe to New World Library's YouTube Channel for immediate access to the latest author interviews, book trailers, and more.